Enjoy a comfortable night’s stay in one of our well-appointed guest rooms before hitting the links at Meadows Golf Course with our Golf & Stay Package! 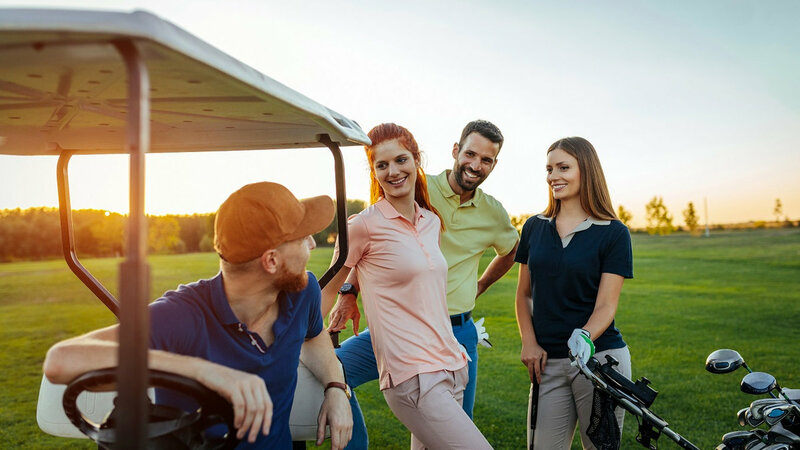 Perfect for guests looking to enjoy a round during their relaxing Princeton vacation, or guests looking to squeeze in a game during a conference, take advantage of our special Golf & Stay Package during your next trip the Crowne Plaza Princeton. Complimentary Golf balls will be provided at check-in. Special Greens fees for Hotel Guests: $20 on weekdays and $28 on weekends. Equipment rental is available at Meadows Golf Course. During your stay with us at the Crowne Plaza Princeton, guests can enjoy access to our hotel’s range of on-site amenities. After waking in one of our charming guest rooms -each equipped with luxurious linens, a flat-screen TV, and more charming amenities- guests can head downstairs to the Forrestal Grille, our hotel’s delicious on-site restaurant for a fantastic breakfast buffet, with a la carte menus offered later in the day. Additionally, our hotel has an indoor swimming pool, a state-of-the-art fitness center, and sporting facilities, as well as an on-site conference center. To book this package, give us a call at 609-936-4200!